Maryanne Waldman is the First Vice President – Financial Advisor for RBC Wealth Management. 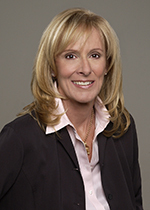 Prior to her current position, Maryanne was a vice president at Morgan Stanley Wealth Management. After graduating from Brandeis University in 1975, Maryanne began her career in financial services at Merrill Lynch in New York City. From there she returned to graduate school at Columbia Business School, earning her MBA in finance in 1979. After graduation, Maryanne joined Citibank in New York and two years later, relocated to Miami as part of the team that launched the bank’s first bond office outside of Manhattan. She later moved to Smith Barney as a full-service financial advisor before returning to the Northeast in 1991. She currently resides in Boston, Mass.